Former OKC teammates from 2012, all rank among the Top 5 earners in the sport of Basketball. Yesterday, on the 5th of June, Forbes released their annual 100 Highest Paid Athletes List and there's plenty to discuss from a basketball standpoint. This year, there were 40 Basketball (all NBA) athletes in the Top 100 as compared to 32 in last year's list. 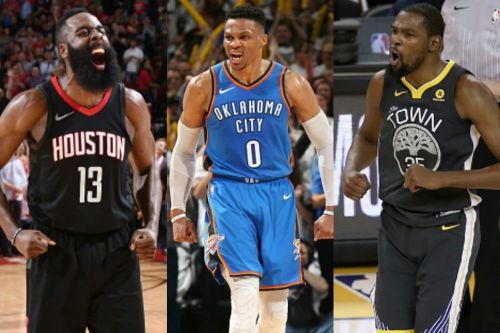 There were plenty of players who soared off and took huge leaps in the standings, courtesy of huge new deals they signed in the summer of 2017 - Stephen Curry, Russell Westbrook, and Blake Griffin are few of the top names to have done so. Note: The earnings below span June 1, 2017 through June 1, 2018 and include salaries, bonuses, prize money, endorsements, licensing and appearance fees. Courtesy: Forbes. If you wish to see the Top 10 highest paid players just based on endorsements, click here. Anthony Davis - the face of the New Orleans Pelicans. Currently, in his second season of a 5-year $127.2 million dollar deal, Davis had arguably his greatest season not only individually but also from a team perspective. 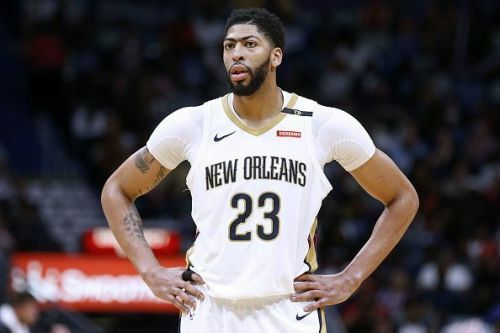 He made it to the All-Star Team, All-NBA First Team and NBA's All-Defensive First Team while leading the Pelicans to the second round of the Playoffs, their most successful campaign in 7 years. Each year up until 2021, his salary increases by a million each year and given his market value, it shouldn't be a surprise that his earnings through endorsements also see an increase. He should be a regular on this list for the upcoming years, with the fact that he has become eligible for the 35% Supermax extension in the summer of 2019. Did Kevin Durant really ruin the NBA?